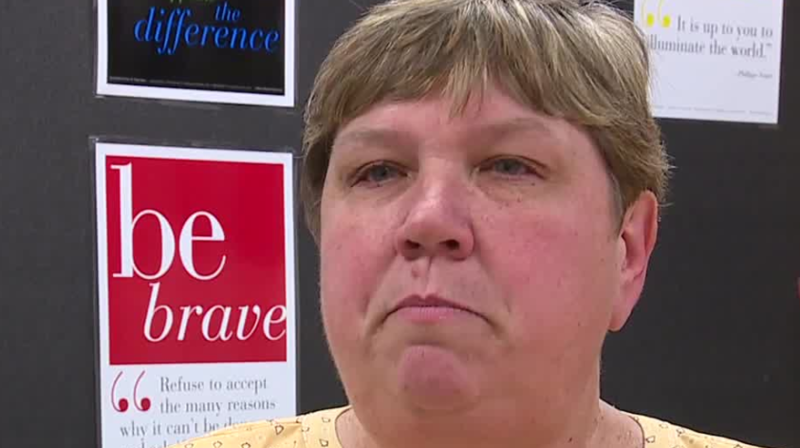 The school board president for the nation's fifth largest school district is calling for an investigation into all school board trustee travel expenses after her own travel records have come into question. President Deanna Wright called upon newly-installed Superintendent Dr. Jesus Jara to review all policies, procedures, rules and guidelines during a marathon school board meeting on Thursday. It comes as Contact 13 has obtained travel records which show Wright submitted transportation receipts that put her at Walt Disney World in Orlando instead of attending the final part of a taxpayer-funded trip to the 2017 National Conference on Bullying. The records include two UBER receipts dated Friday, March 3, 2017. The first receipt is time stamped at 9:53 a.m. with a destination listed at 131 Seven Seas Drive, Orlando, FL. 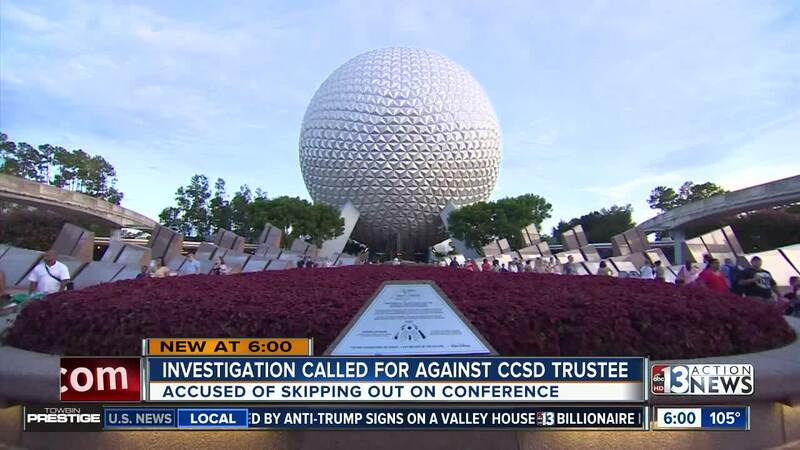 According to additional travel records obtained by Contact 13, the conference lists a keynote session and closing speaker until 11 a.m.
Wright summoned an UBER approximately 12 hours later from Disney World and returned to her taxpayer-expensed hotel room for the night. All told taxpayers coughed up nearly $2,000 for President Wright to attend the out-of-state conference. "We work hard for our money and we work hard to make our kids better," said parent Kathy Warrior outside newly-opened Shirley Barber Elementary School in Henderson. "Every parent should feel angry or upset, because it's like she's taking money out of our pockets," added Warrior. Contact 13 has also learned there were at least 2 Southwest Airlines flights that departed Orlando International Airport for McCarran International Airport at 1:35 p.m. and 4:25 p.m. on March 3, 2017. On Friday, Contact 13 visited President Wright's home multiple times, sent messages on Facebook, Twitter, and reached out to the Clark County School District communications department. "We have completed an initial review of Trustee Wright's travel documents, and confirmed she did leave the conference she was attending one hour early. She has provided evidence that she attended the rest of the conference. It is also our understanding that Trustee Wright inquired about this trip and was given authority by district leaders that she followed. Superintendent Jara is in receipt of Trustee Wright's letter dated August 9, 2018, to review all district policies and procedures related to travel. Dr. Jara will proceed with this review and provide an update at a Board meeting." Wright gave a comment Monday regarding the situation. "Hindsight being 20-20, I can see there is some gray area here. I get it," Wright said Monday and added that she has always been forthcoming about personal expenses.